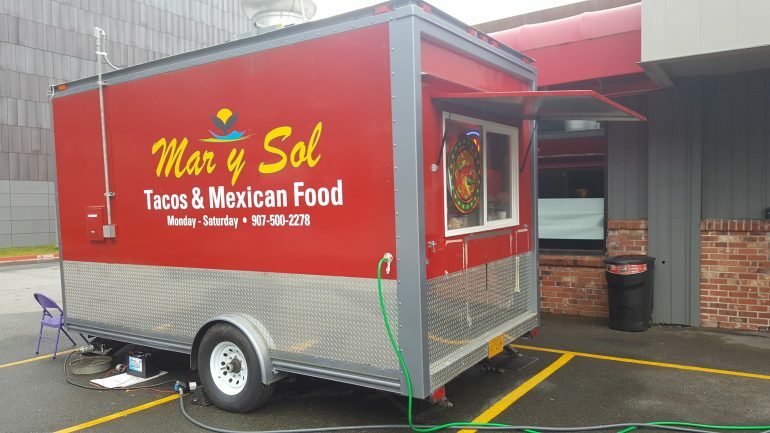 Mar y Sol serves up tacos and Mexican foods and is located on the opposite end of Ace at Foodland. 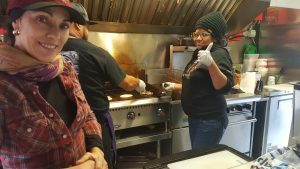 The staff is extremely friendly and more than happy to help out whether you are looking for a Mexican plate or tacos Al a carte. 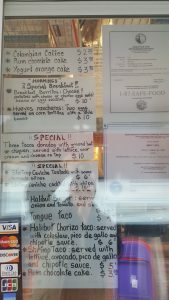 Mar y Sol has a good selection with 14 items on their menu. Dishes range from Nachos, Quesadilla, Chile Rellano, Flautas, to plenty of taco choices. 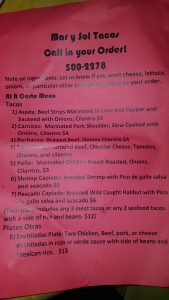 The taco choices include Asada, Carnitas, Pollo, and Shrimp. I purchased the 3 taco plate for $10. Each of the tacos was loaded with chicken on a crispy shell. Each taco was further loaded with plenty of toppings: lettuces, tomatoes, onions, and sour cream. The taco plate was definitely filling. I also purchased a tongue taco. It came with plenty of tongue mixed with cilantro and onions loaded on soft shell. One draw back, however, is there is little seating available and it is out doors. Yesterday I️ ordered chips and guac and two tacos, one was shrimp and another was a $4 beef type taco. When I️ received my order to go i walked back to work and noticed i had one taco and guac. I walked back assuming that the taco was accidentally not put in the bag but he reassured my that i had only ordered one taco. Check my account this morning and i was charged just over $14… bummer. My taco and guac are delicious. Just probably won’t be back. 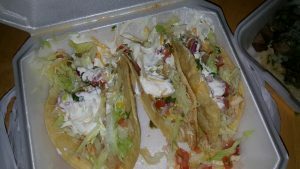 When I first went there, I loved the taco plate – lots of meat, sour cream and cheese and enough lettuce. 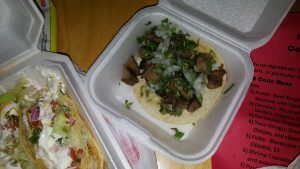 However, I’ve been there multiple times now and the quality is going south…..I just ordered the three tacos again but, same as the last time, the meat is either overcooked or leftover from earlier in the week. The amount of cheese is like they just put the very last of a bag of cheese on it. No longer my favorite place to get tacos anymore.